I am an Android user. I love this software. It is easier, simpler and cleaner than it’s competitor I will now tell you some cool stuff you didn’t know your Android can do. It can serve as a security camera – Have you thought buying a new security camera? Well if you have a spare Android phone, you can use it as a security camera. You must download a streaming app such as AtHome Video Streamer from you Google Play app. Then you can access that camera remote via an internet connection. It can serve as a pedometer – When the S4 was launched, there was an interesting app that caught the eye, an app that counts steps. But it seems that this isn’t something special at all. If your Android phone has an accelerometer you can download an app like Accupedo, which can record what distance have you walked and how many steps. Program an Android app on your phone – If you want to program an app in iOS or Windows software you don’t have many options. Well, with Android is something else. You could program an app every way you like it on your phone. There are some apps that help you with programming an app directly on your device. You don’t need a laptop anymore. Download it and then you can start writing. 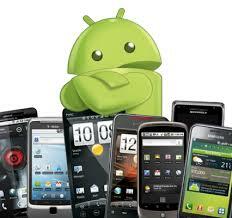 Go have some fun with your Android device !